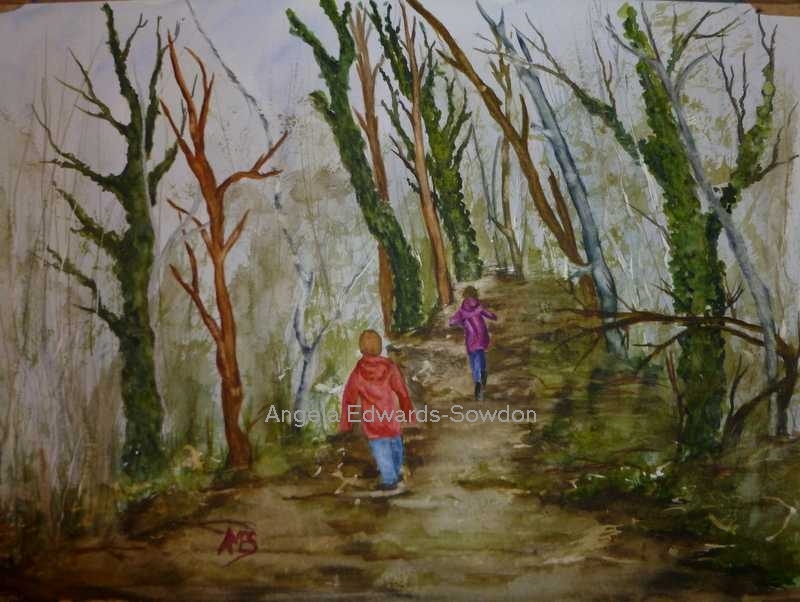 A lovely Painting of two children running along a muddy path through the woods. The contrasting colours of the childrens clothing against the winter trees gives a vibrant and energetic feel to this painting. 10 x 12 inches and is set in a mount (unframed). Free Post UK for anywhere else please ask cost before purchase. Thank you.